There was once a time when your family and friends would think that you were just being over dramatic, calling attention to yourself, and faking an asthma attack when you got some news you didn’t like. They thought you were using your asthma as an excuse, or ploy for sympathy. They did not realize that there really was a medical and psychological relationship interplaying when you had your asthma attack. Perhaps you never realized that your attacks seemed to come on more often when you were stressed, or perhaps you did, but your doctor did not tell you that their was a correlation between stress and asthma symptoms. Doctors would be cautious in telling you this because there was not enough research done in this area to confirm the relationship. However, according to Dr. Peter Gergen, of the National Institute of Allergy and Infectious Diseases, stress will not give you asthma, but it will worsen the symptoms if you already have asthma. Stress induced asthma is not all in the head as previously thought by many doctors. There is a connection and stress or anxiety can actually make your symptoms worse, Dr. Gergen confirms. Researchers have identified several stress related events that have been associated as triggers, which worsen asthma symptoms. The stress related events include, public speaking, family conflict, school exams, and public disasters. Asthma is an inflammatory disease of the airways, the inflammation and restricted airways causes difficulty in breathing. The treatment requires medication to reopen the airways known as rescue medication, or medication for preventing the restriction of the airways in the first place. Researchers are now considering stress to be a factor, which may affect the body directly, or the stress at the psychological level may be a factor in people mismanaging their asthma. Stress and anxiety could have a physiological affect upon the body, which then will induce an asthma attack. How this works is that the strong emotions such as stress, will release the chemicals such as histamines, and leukotrienes, both of which can trigger the constricting of the airways. Dr. Gergen explains that when asthmatics are stressed out with big worries on their mind, they may forget to take their medication, which in turn will lead to the symptoms increasing in severity. Stress related hormones that are released in the body also reduce the body’s abilities to battle colds and other respiratory infections. Viral infections are one of the asthma triggers. You need to identify the major stressors in your life whatever they may be. You need to cut down on the stress, if it is too much work, find ways to lighten your load. If your stress can be modified or altered you need to find ways to do it. If the thought of change is stressing you out, seek help from a professional. Sometimes all you may need is some time management and delegation skills while others times you may need a professional to help your through the agony of death or divorce and so on. Cutting down on your stress level will help you manage your asthma a lot better. Start to do some relaxation exercises such as deep breathing, yoga and meditation. Regular relaxation practice will begin to ease the effects from a stressful life. Make sure you have your asthma medication with you at all times. Know your asthma action plan that both you and your doctor have gone overIf your asthma attack does not subside within 15 minutes get to a hospital as quickly as you can. 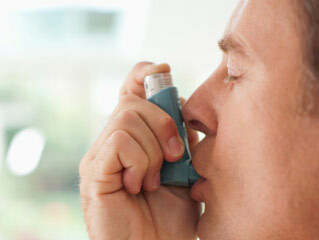 One big stressor for asthma sufferers is to the stress of having asthma and not being able to have a normal life. When your asthma is under control you don’t need to fear, you can do just about anything you want to just like anyone else.